The Stars say it all. Reliable, great job and super with my dogs. Not only a wonderful groomer but also a complete natural with animals and it makes all the difference! My dog is not a people person but he is always excited to see Carly, happy to leave with her and sad when she leaves. She makes handing him over very easy and I trust her completely! Could not recommend more! Superb!! My girls loved being pampered by Carly!! Such a great service!! I am always happy to leave my westie Lily with Carly to be groomed, as Lily is so relaxed when I drop her off and in no hurry to leave when I collect her. Carly’s so good with my Harvey, he’s not the easiest to manage. Feel very happy leaving him there and he looks & smells lovely when I collect him. Highly recommend Mucky Mutz & Carly. Love bringing Parker here. Carly does such a fantastic job. Parker is quite a boisterous boy and he can be a handful but Carly is very patient with him and he always looks so handsome when she’s finished. My baby boy Marley loves his visits to see Carly. He always looks and smells so good when I pick him up. Great place would highly recommend it to everyone. Keep up the good work Carly and I love to photos on here. Thanx Carly, I know he’s a pain coz he doesn’t like the van and has sensitive skin, but I wouldn’t want anyone else. You do a fab job, Max comes home like a happy fluff puppy every time. Brilliant, professional service! Molly always comes away looking and smelling lovely and more importantly happy! Would recommend Carly to everyone. This was my first experience with dog grooming and I couldn’t be happier! Very friendly and now will become a regular occurrence! I love my doggies and worry about leaving them somewhere when they need a trim. Carly was brilliant with them and my dogs loved her. Already booked in for next trim. Friendly and professional service. Dogs always come back looking and smelling lovely. Best dog groomer in Essex . Carly is so lovely, and patience with our winston. He even sulks when she leaves him . We wouldn’t trust him with anyone else. He comes back looking and smelling lovely.! We love Carly x she’s great !! Thanks Carly. Excellent service, Jumbles will be coming back many times. Fantastic services from Carly Scamp my shih tzu is more than happy to see her & be left with her &I’m more than happy to leave Scamp with her as you can see how much she cares for each dog & how much she loves her job Scamp always comes home happy & with a lovely cut & always smelling absolutely gorgeous just like baby talc We are already booked up for the new year. hi i have a 1 year old pomeranian who id like to have a full groom. unfortunately she has flat furred hair not fluffy like like other poms altho her hair is long. could u please tell me how much u would roughly charge for a full groom on her please altho i also dont want her cut too much pls many thanks kelly. taken from the fb page..
Taken from the mucky mutz facebook page. I used to use Fur Kutz, but Frankie would lie on the ground and we had to drag him in (not easy with a golden retriever!) He seemed so happy with Carly and she cut him exactly how I asked. I’m not going anywhere else in future. Thanks! Hi… Just wanted to say that i trully admire your work. I wish I had someone like you around here to take such a great care of my baby. I follow you on instagram and recently foud the facebook page. Love to see all the pics! It’s so good to see someone that loves so much this job and the animals. We need more people like in the world! Hi i’m wondering if you have any jobs? 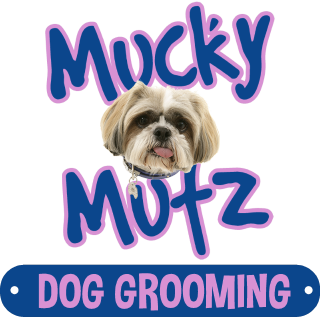 I have been using Mucky Mutz for 2 years and would never use anyone else.Carly is wonderful, my doggy loves her and gets very excited when she comes to collect him.And he always looks gorgeous when he comes back! I would definatly recommend using Mucky Mutz! I’ve been using mucky mutz for a couple of years now, my dog is a rescue and very frightened of other people but Carly does everything she can to make sure she feels safe when she goes for a cut. All my friends and family now use Carly and we recently used her dog walking services and couldn’t be happier with the job and the effort put in beforehand to meet my other dogs. I’d recommended Mucky Mutz to anyone. Jock is very nervous of groomers after his last one cut his foot but he is so happy when Carly comes to collect him for his special trip out. He always comes back looking great and how she manages to trim his feet we have no idea but she does a great job. Jock is more than happy to recommend Mucky Mutz. Would totally recommend Mucky Mutz. Our 5 year old chocolate Labrador always goes straight for the door as he is so excited to see Carly and comes out happy and content. Thoroughly groomed, very friendly helpful staff and very good value for money. Harvey is not the easiest dog to groom as he hates anyone near his face but Carly is fantastic with him. He comes away looking good and smelling lovely. Highly recommend Carly and the Mucky Mutz services. after a horror of an exsperiance at FUR CUTS my dog was terrified of being groomed any more, but these young ladies have not only done a fantastic cut on her but have restored her confidence in being groomed. carly is the best croomer my benji has been to, he’s always so excited to see her and comes home looking and smelling great and very happy, i reccoment carly to everyone i know with a dog, just as she came highly reccomended to me and i haven’t looked back since, she’s an absolute god send!!! Thank you so much for seeing my dog finlay at such short notice. He is so much happier with his short haircut and you were wonderful with him! Taken from the facebook page…. Thanks for Ellie the “licker’s” beauty parlour treatment. Already for her photo tomorrow now. No wonder you are so busy, you do such a good job on my over-excited dog. Comment from the fb page…. My dog Ellie loves her walks with Emma and her grooming by Carly. She always comes back from Carly with her ribbon which I think is such a sweet thing to do. Comment by: Linda Keeping and family. Hi, we are so glad we found you and so is Nelly, she loves you to bits and gets so excited about getting groomed. We had terrible trouble with her at other groomers and it was so distressing. You preform miracles we give you a scruff and you bring back a Cocker Spaniel. Missed the last appointment due to commitments and she looks beyond redemption at the mo!! Perhaps some before and after shots of her might be nice for your gallery. Highly recommended. Thank you for putting my picture on your web site. 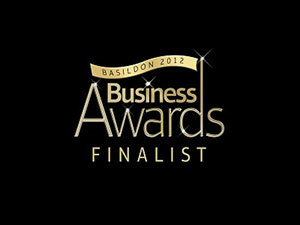 im am so pleased with the service i got, B.bs looks absolutly brilliant. excellent, cant thank you enough, she will definatly be coming back!